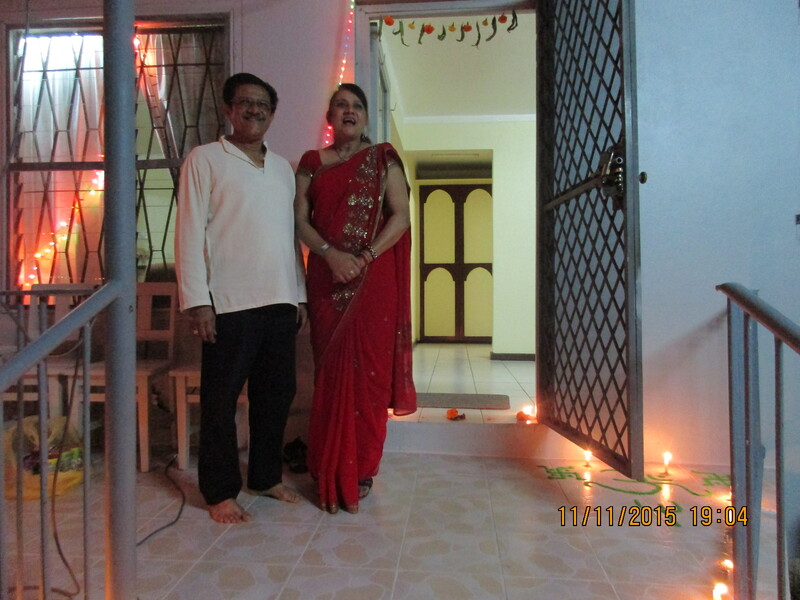 November 9 – 15 – Craig and L'Or L.
Our landlords Avinish and Shaami made sure we had a ”Happy and Prosperous Diwali” (a festival of lights starting the fiscal year and honoring Lakshmi, the goddess of prosperity). They brought us sweet and savory Indian treats in the morning and a whole Indian dinner that night! 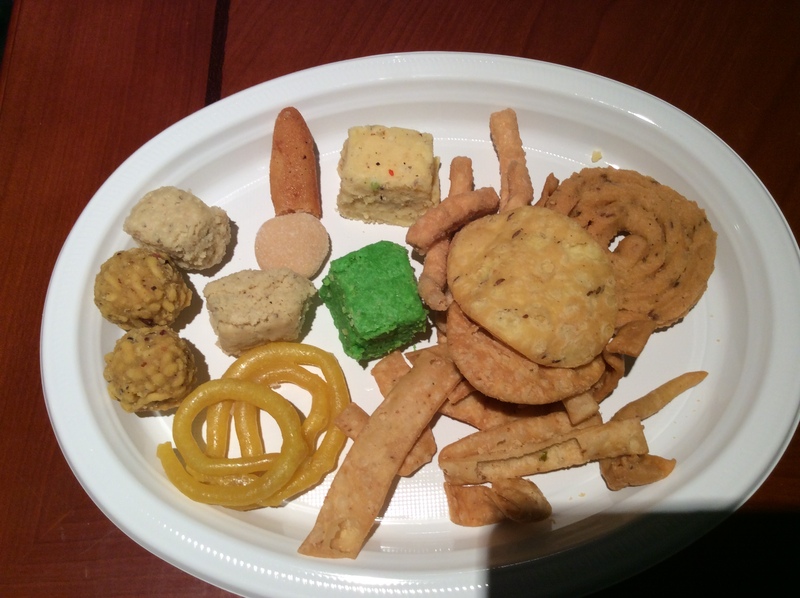 Some of Shaami’s delicious Diwali treats, which the YSAs consumed in about two seconds! Diwali decorations were in store windows and cashiers in the stores wore beautiful bedazzled Indian saris and ghagra. Even children at school wore beautiful Indian dresses. 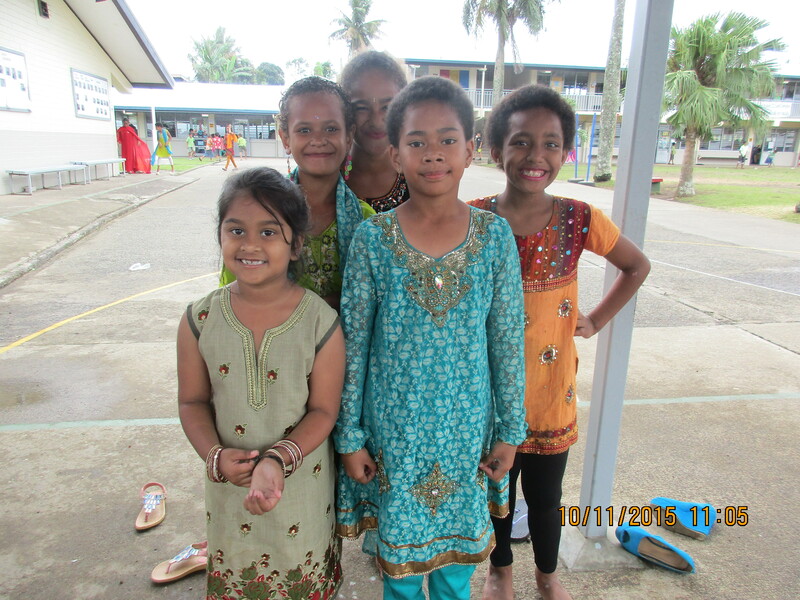 Because it is a Hindu holiday, most Fijians (i-Takei) and Christians do not celebrate it, so that night those neighborhoods were dark and quiet. We, on the other hand, were surrounded by fireworks all night! We shared Shaami’s dinner with the Knights and played games. Later we went up to the temple hill to see fireworks shooting up from other Indian neighborhoods throughout the city. Homes are decorated with brilliant lights. 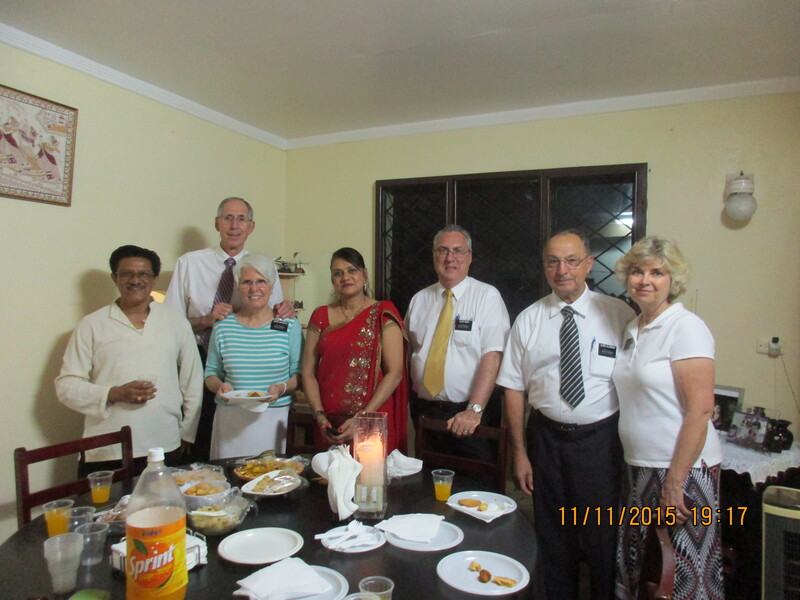 On our way, Sudha and Ravish, who live next door to Elder and Sister Alldredge, invited us in for more treats! We were totally blown away with the hospitality and kindness of two people we’d never even met before! Sudha and Ravish live across the street from the temple and are excited to attend the open house. We left their home feeling like we’d eaten two Thanksgiving dinners in a row! 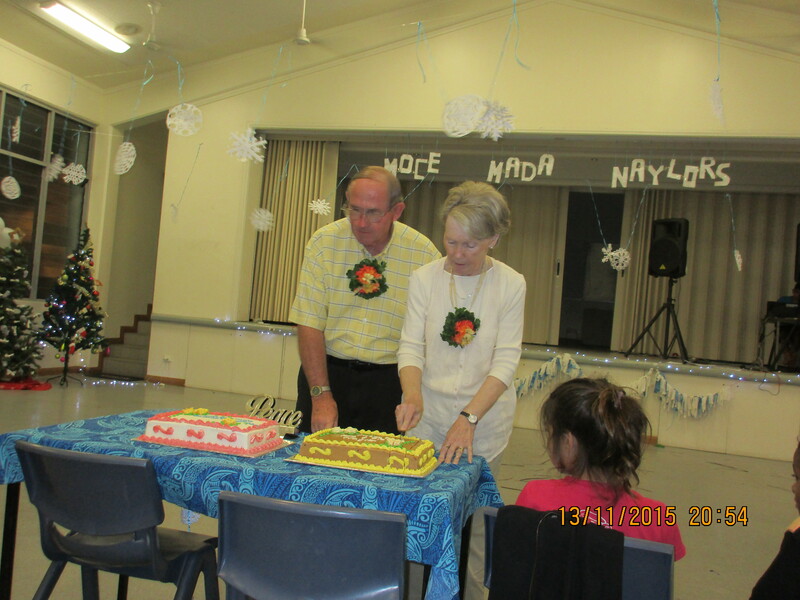 Friday the 13th we were lucky enough to be invited to a combination ward Christmas & Farewell party for the Naylors (temple renovation manager). There was a delicious dinner and very nice Christmas program. 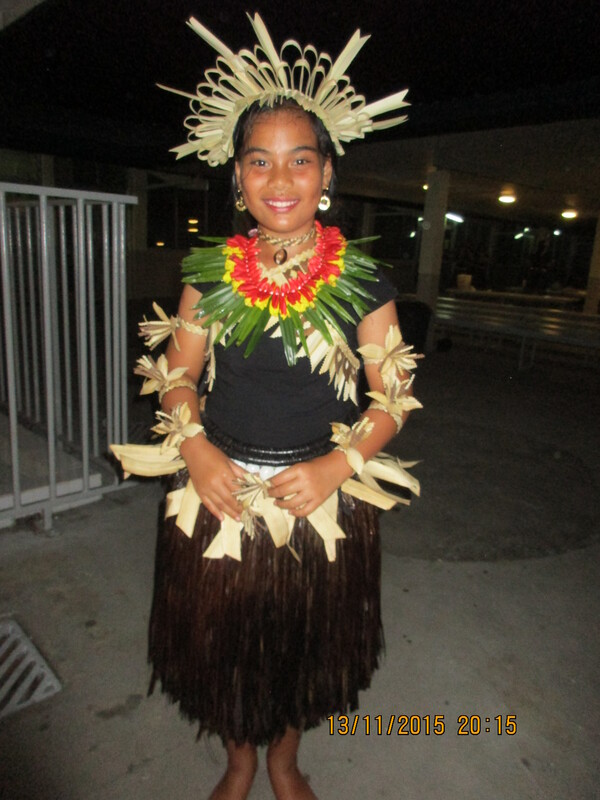 We love to hear Fijian’s testimonies of the Savior! The cultural hall was decorated with two Christmas trees and snowflakes hanging overhead – but that’s where the similarities ended! 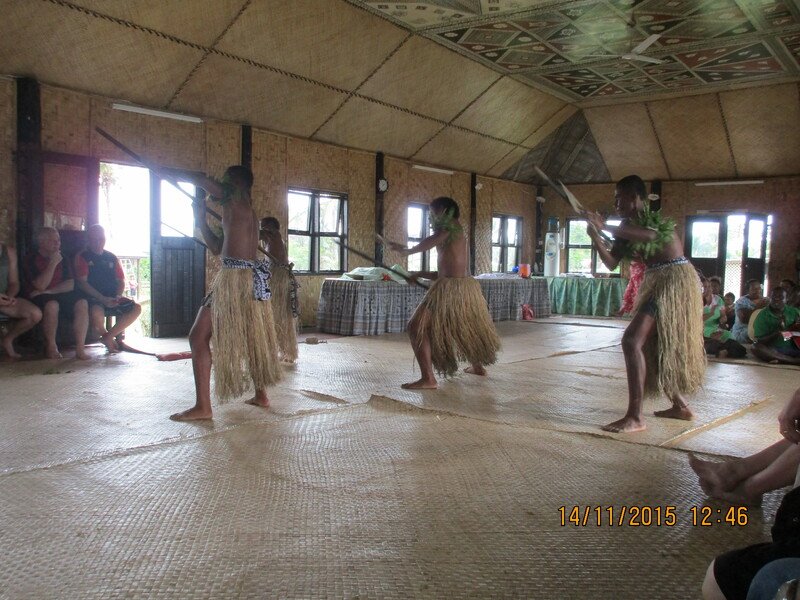 Each quorum and auxiliary entertained us with beautiful traditional dances or songs. The Pandanas bark decorations on the arms of this girl from Kiritibati were amazing! 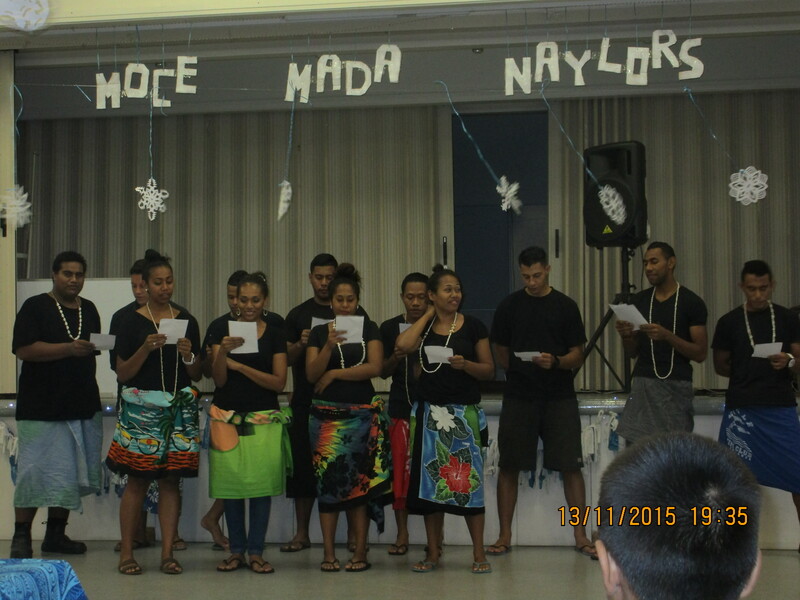 There were speeches, cake cutting, and the ward singing the Isa Lei Farewell song to the Naylors. 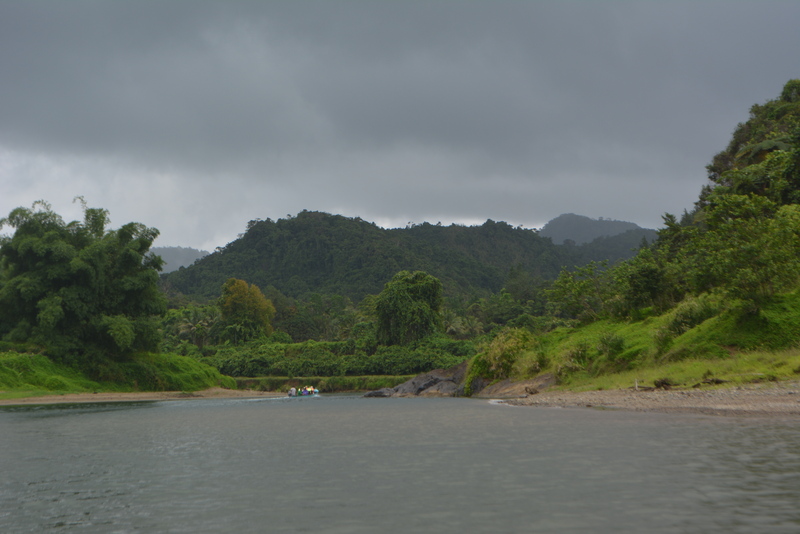 Saturday we went on the Nauvua River trip with the other senior couples. Even though it rained, it was an unforgettable experience. This part of the earth is so beautiful. The scenery along the river was gorgeous. 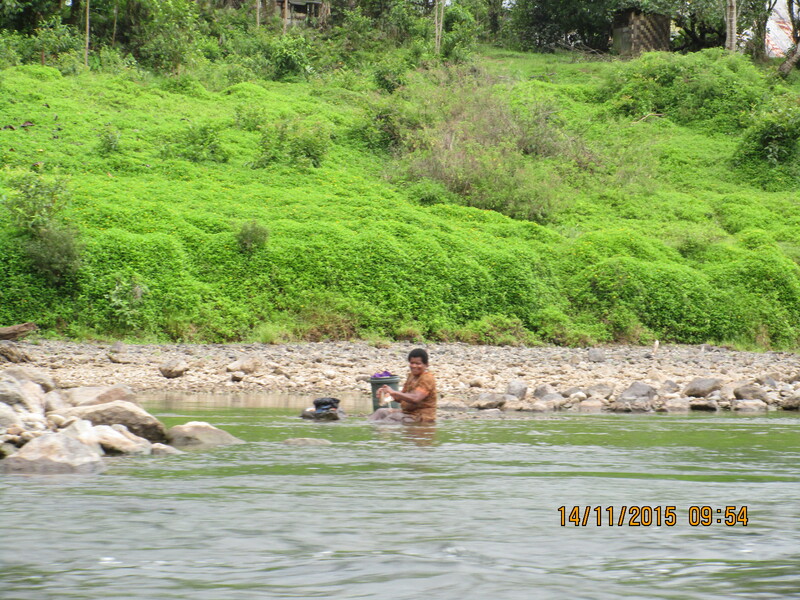 We saw women washing clothes and kids having a blast playing in the water. 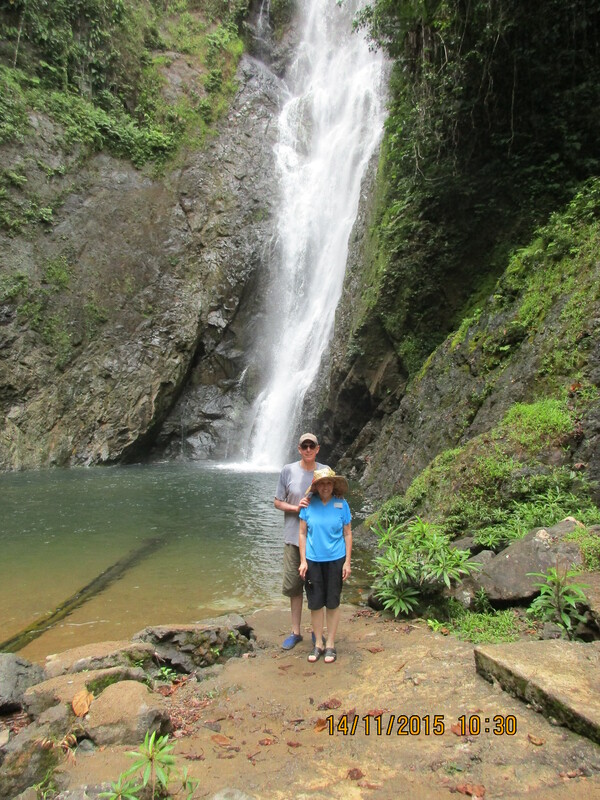 First ones at the water fall — yay! We had 34 in our group: 8 senior missionary couples, and tourists from Sweden, Denmark and Australia. The water was cool. 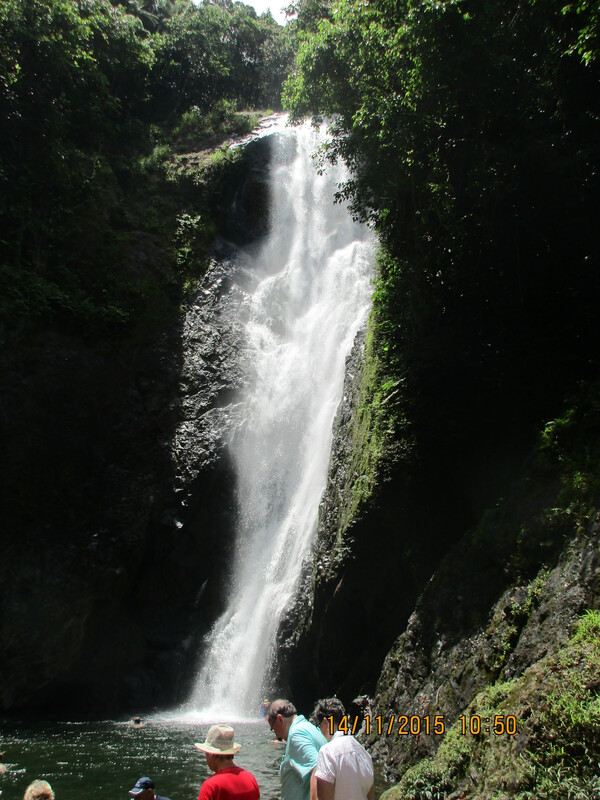 but it was fun to swim and get under the water fall. 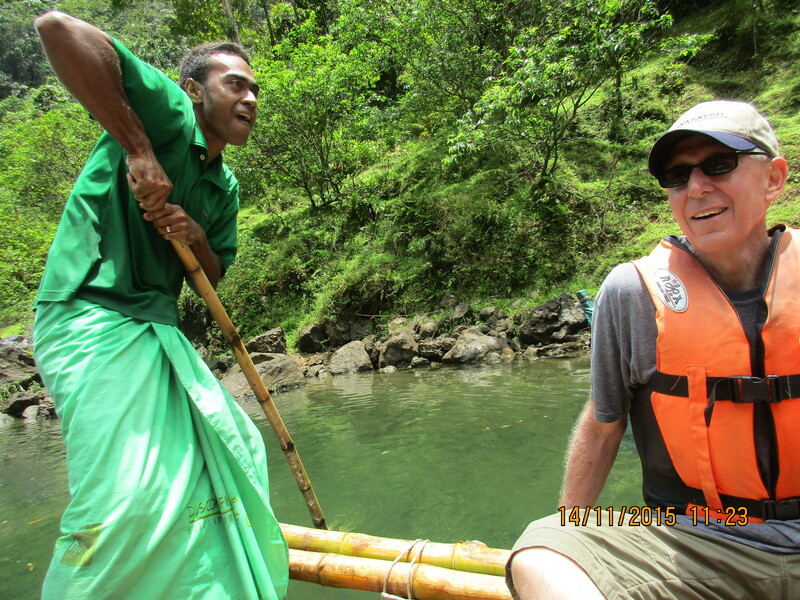 Traveling part way on a bamboo raft was peaceful, but sure helped us appreciate our motor boat. 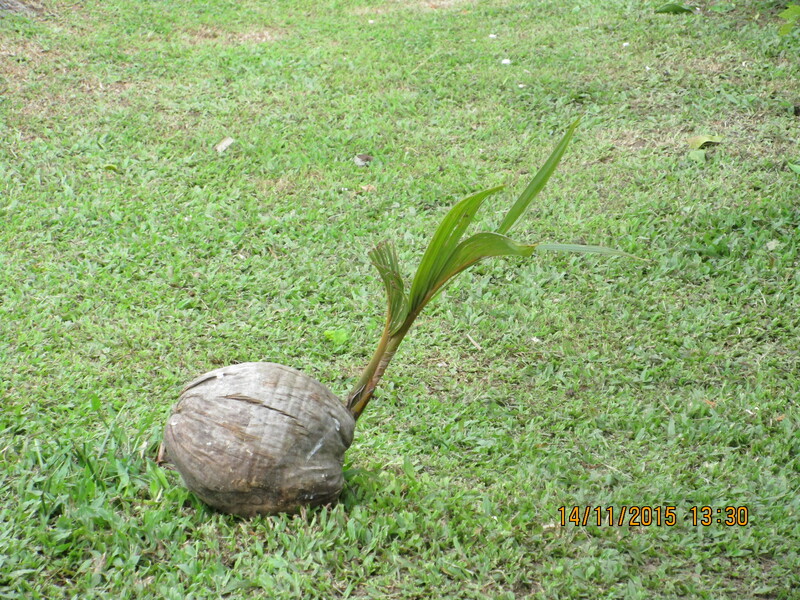 We stopped in the Raiwaqa village on the way back for a lovo lunch and fascinating cultural demonstrations: weaving, masi cloth, and all about coconuts. Almost all men now in the village descend from the same British grandfather, and the children who sang to us are the seventh generation of his descendants. Most are very faithful Methodists, including our guide, who offered a beautiful blessing on the food and upon us as guests. We returned from the river trip in time to race over to a special fireside with Elder Haleck (Pacific Area Presidency), Bro. Ashton, (counselor, General Sunday School), and Bro. Owen (General YM president). What a special experience. At one point Bro. Ashton asked us if we felt the Spirit, and did we ever! Young Single Adults and returned missionaries and their parents were taught about faith, and developing a relationship with our Heavenly Father who loves us, and wants us to ask Him for blessings. 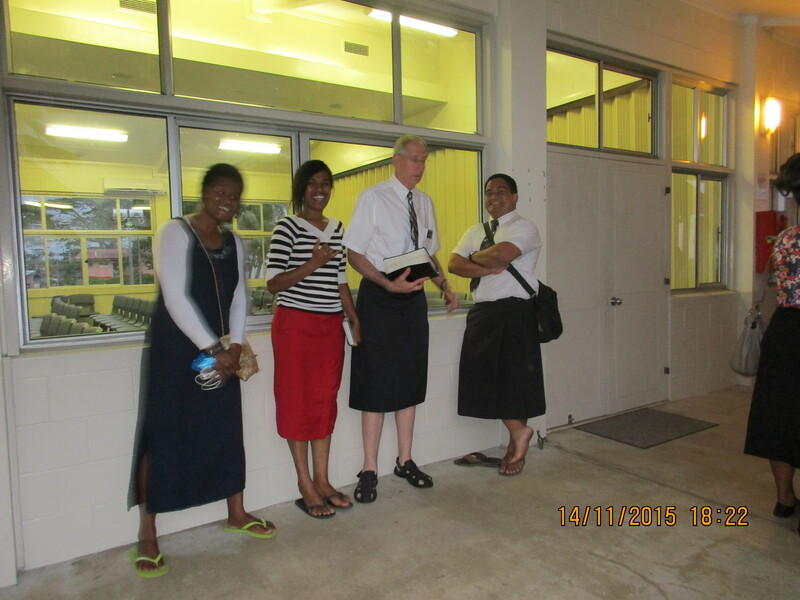 Elder Whitehead asking Mili, Maria, and David to share their “take-away” from the evening. Our take away? Every day here us brings greater blessings. They also talked about preparing for missions, the importance of education, self-reliance, and families. Our YSAs told us it was exactly what they needed to hear. It was what we needed to hear, too!